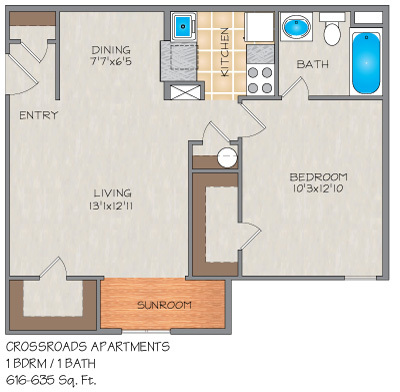 Please send me more information about Crossroads Apartments. Monday - Saturday 8:30 a.m. to 5:00 p.m. Sunday By Appointment Only. 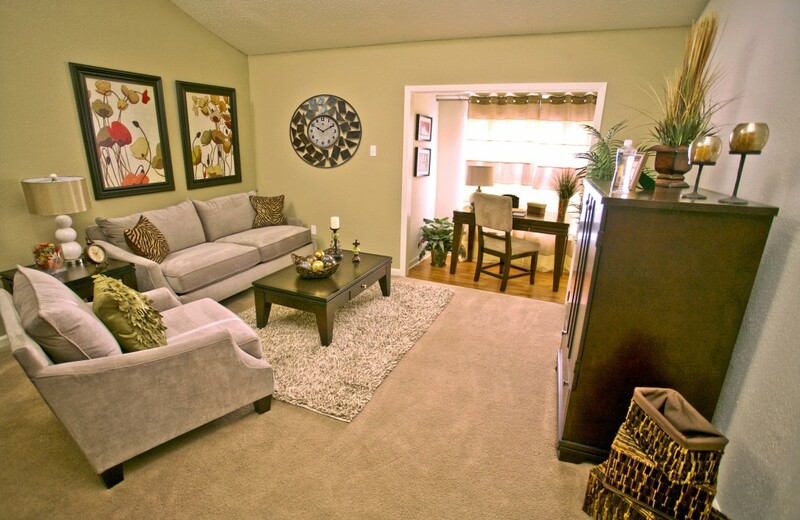 Our furnished and corporate apartment rentals require a minimum one month lease. 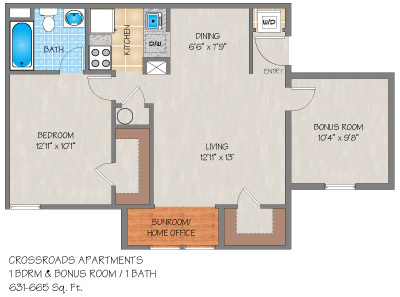 *NOTE: Special rental rates on select units. All rental rates subject to change based on availability. 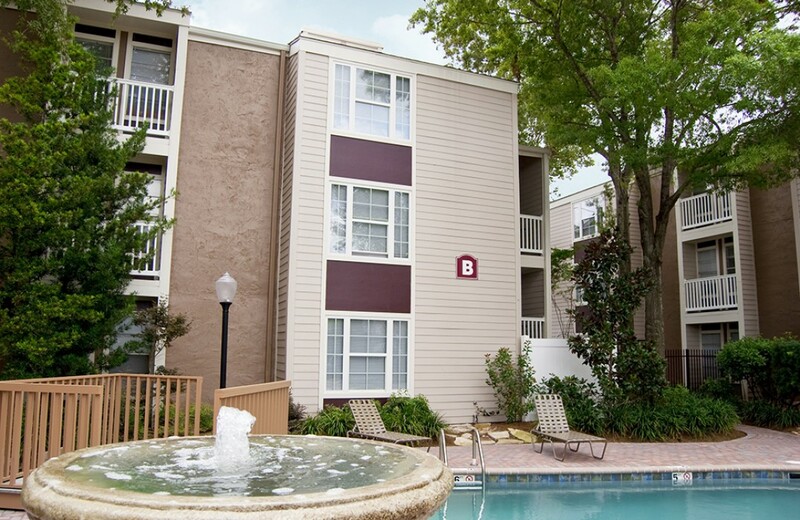 Crossroads Apartments is a renovated community that features washer and dryers in every apartment home, as well as gorgeous sun rooms, perfect for relaxing with a great book or surfing the web. You will feel right at home in our relaxed, tranquil setting of bubbling creeks, winding paths, flowing fountains and bridges located behind a censored access gate. 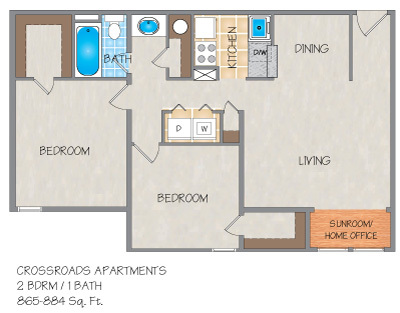 At Crossroads, we provide you with a variety of choices of studio, one, and two bedroom apartments in Metairie to fit your needs. Located just three blocks south of Veterans Blvd. on Cleary, our convenient location gives you easy access to Interstate-10 and downtown New Orleans for work or play. You will be just blocks away from the best shopping and dining in Metairie! Choice, convenience, and comfort: find it all at Crossroads. The inside of these quaint apartment homes are highlighted by plush carpeting, over-sized closet spaces, ceiling fans, and mini blinds. All apartment homes feature a full appliance package consisting of a dishwasher, frost-free refrigerator, and stove/oven combo. In select homes we feature cathedral ceilings, skylights, custom cabinets and beautiful counter tops. 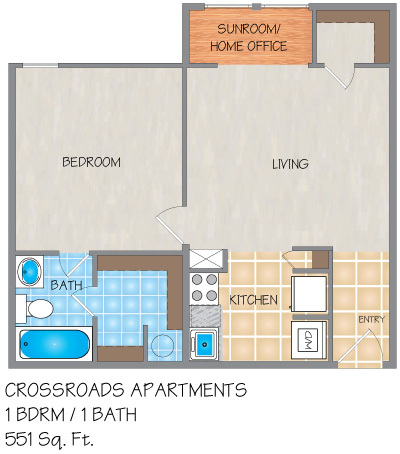 If you are looking for an apartment for rent in Metairie, stop by Crossroads and see for yourself. Inquire About Furnished Corporate Apartments. Find Out More About Our Resident Homepage! 1st Lake Properties offers Resident Rewards and Lifestyle Services to all residents. For added convenience, 1st Lake Residents can also pay rent online. Click here to find out more! 1 Pet (less than 20 pounds full grown): $300 deposit of which $100 is non-refundable, plus $15/month pet fee. 1 Pet (21-40 pounds full grown): $600 deposit of which $100 is non-refundable, plus $25/month pet fee. 2 Pets (Maximum total weight, of both pets combined, 40 pounds full grown): $600 deposit of which $100 is non-refundable, plus $25/month pet fee. Each individual pet may not exceed 20 pounds in weight full grown. Restricted dog breeds include any dogs which are partial, or full, Pit Bull, American Pit Bull Terrier, American Staffordshire Terrier, Staffordshire Bull Terrier, English Bull Terrier, Chow Chow, Rottweiler, Rhodesian Ridgeback, Doberman, Alaskan Malamutes, Huskies, Presa Canario, Saint Bernard, Great Dane, Akita, German Shepherd or Boxer. 1st Lake reserves the right to restrict any other breed or animal. I was there for a little over a year (2017-2018) and I really enjoyed it. I've lived at a couple 1st Lake places and I always have a good experience. Sure, Crossroads felt a little older at times, but the space is decent, and the staff is nice and does a good job. I've been seeing a few of these negative posts lately and I feel that they do not represent my experience here. Were there days that the grounds were a little messy? Of course! Mainly, after the weekends, the holidays, and bad weather. I also made sure that I didn't throw my stuff on the ground too. Point is, it was a good place, especially given the price and the area. Air conditioner does not work very well. Gutter missing in places. I'm a new resident, and so far so good! The location is extremely central and very convenient to just about every possible shopping need (groceries, Target, Best Buy, etc.). The staff in the office (Lynda and Lesa) have consistently been clear, professional, and gracious to me via phone and in person. They seem very on top of the paperwork and maintenance issues. I love that I can hear a water fountain just outside my window, as it's a very soothing sound. For the price, this complex has a lot of value and would be appealing to a wide range of people. I'm new in Metairie and I don't intend to be in an apartment for an extended period of time. That said, Crossroads is a perfect place for me right now. I enjoy living here, I hardly ever have issues with my apartment. Parking is great and it's a gated community. Ms. Gay and her staff take pride in making sure everyone is satisfied and taken care of. i lived at crossroads for almost 7 months and I've had no problems. The maintenance crew is very helpful. The only thing that's bad is the distance from my apartment to the dumpsters. Great for a first time apartment l.
Great choice I've lived in Crossroads apartments since July 2015. 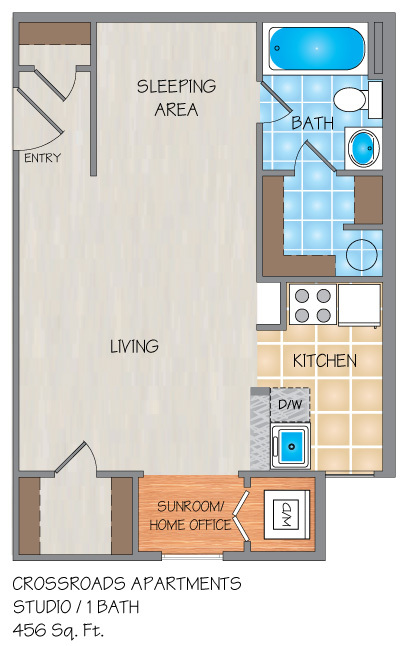 I live in a 2 bedroom, 1 bath apartment. It's very spacious and I love my walk in closets in both rooms. The office and maintenance staff is beyond helpful and friendly. I go to school and staying right off I-10 interstate makes the drive less stressful.